Although yoga was initially practiced centuries ago, it has been very warmly embraced in the modern world by modern society...albeit bringing with it similarly modern accoutrements to enhance or diversify the practice. High-tech yoga mats are an example of this. 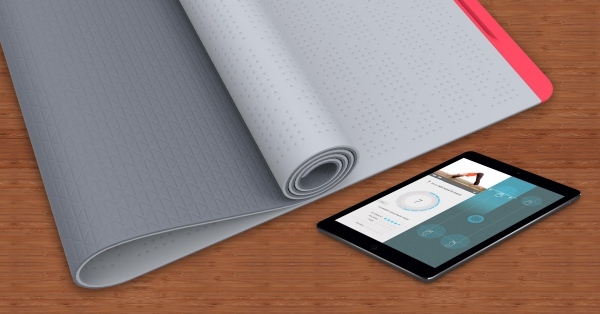 SmartMat is a responsive yoga mat with motion-sensing technology that gives you real-time feedback on your alignment and balance. Using motion sensors that detect your body's pressure and alignment, the mat records this data and transfers it to the SmartMat app that you can download and use on your Android and iOS devices. Part of the setting up process is the individual calibration, where the app takes into account the user's height, weight, limb length, and also record data on how they currently perform poses so the system can provide more customized feedback based on the data. It's the same size as a standard yoga mat and can also be rolled up for portability. SmartMat has over 21,000 sensors that detect your balance, pressure and alignment in your hands and feet, then send this information via Bluetooth to the connected SmartMat App on your phone or tablet (iOS and Android). 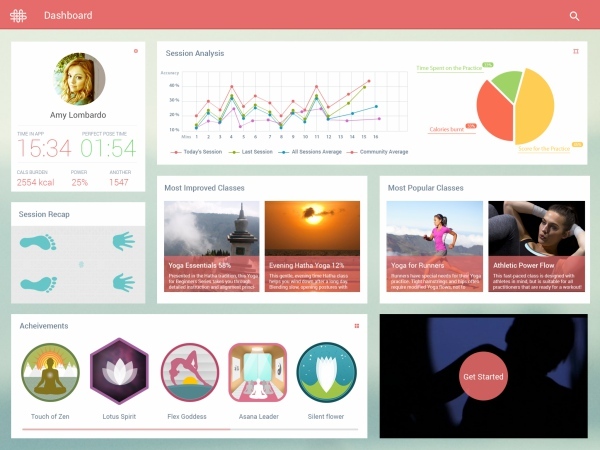 It operates on three modes: In-home Private (audio and visual instructions), In-class Assist (use the mat in class with bluetooth headphones), and Zen Mode (track and record your practice silently, without audio or visual guides, during yoga class so you can check it later when you get home). SmartMat might be an interesting product for beginners who don't have the time and/or money to go to a yoga studio whenever they want to get guided instructions on how to perform yoga poses correctly. 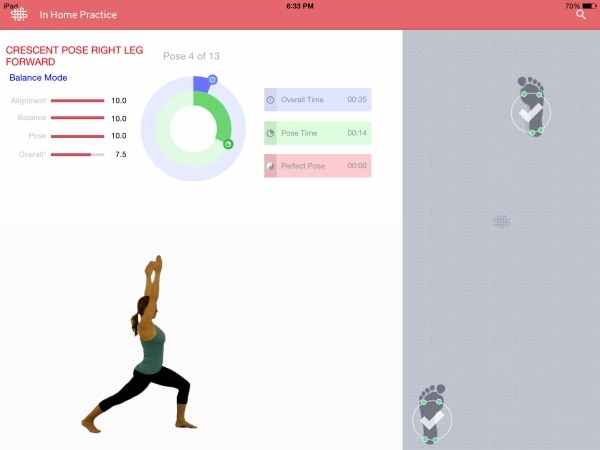 Hatha/Vinyasa yoga instructor and SmartMat's Yoga Director Amy Lombardo says the customized feedback that users will get from the calibrated data will also be useful for beginners because they'll learn how to orient to the practice from within, understanding how the poses express themselves uniquely in their own body instead of comparing their pose to their neighbor’s on the mat next to them. You can find out more about SmartMat here.